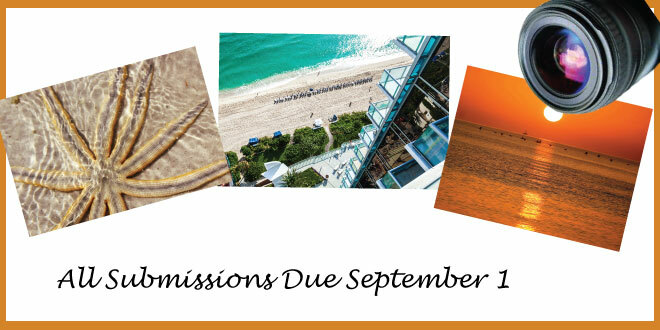 Each year the City of Sunny Isles Beach holds a Photo Contest, asking residents to send us their best SIB photographs. Send those great shots of the City’s stunning architecture, beautiful parks, the Atlantic Ocean, and our residents and visitors having fun in the sun! The photo must be of a scene taken in Sunny Isles Beach, Florida (between 156 Street and 195 Street and the Atlantic Ocean and the Intracoastal Waterway). Winning images will be published on a non-exclusive basis in the City’s desk calendar available at the Sunny Isles Beach Government Center reception desk at the end of December. But even if your photo is not chosen for the calendar, there are many other places it may show up! Some photos not used in our calendar may appear in our Living Magazine, SIB Islander Monthly Newsletter, or on the website pages (with photo credit). All entries are considered and welcomed. *Photos should be at least 300 dpi to be considered for the calendar. Most photos taken with a camera phone will not meet this resolution requirement. For best resolution, a digital camera should be used. Submissions are due by September 1, each year. Photo entries should be submitted online if possible, but can also be submitted via storage devices such as flash drives or CDs which may then be dropped off or mailed to Pelican Community Park (Attention: Alayne Yeash), 18115 North Bay Road, Sunny Isles Beach, FL 33160. Be sure to include your contact information so that it may be retrieved later. Direct any questions to 305.792.1706, extension 1764 or to photocontest@sibfl.net. Now grab your camera and take some prize-winning shots!